With over 10-years of experience, Jarecki Law Group, LLC is a goal-oriented firm that values what our clients value: global and national business success, family (re)unification, and the ability to piece together the tools necessary to make everyone's definition of the American Dream a reality. Our firm's approach is simple. 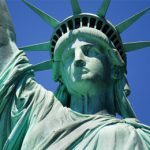 We seek to understand your U.S. immigration needs, analyze the best approaches to meet your goals, and then aggressively navigate the ever complex and changing landscape of immigration law to advocate for your desired result. Any person seeking to enter the United States must have the proper non-immigrant, or temporary visa, issued for the specific purpose of travel. The only exception is a business or tourist traveler from a country that participates in the Visa Waiver Program, which waives the visa requirement, but still requires a pre-registration before travel to the U.S. All other travelers, including temporary workers, students and visitors from countries that do not have visa exemptions must obtain a specific visa in the proper classification for the activity they wish to engage in while within the U.S. The goal of many people entering the U.S. immigration process is to obtain permanent resident status, or the green card. 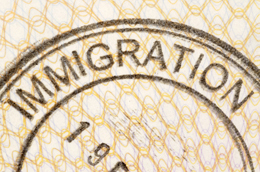 The benefits of being a permanent resident include the legal right to live, work, and remain in the U.S. indefinitely, with very few restrictions and limitations. Whether you are just starting the immigrant process or have an immigrant petition pending, it is important to understand all of the legal obligations tied to the green card to avoid violations, which could compromise the ability to receive, maintain, or continue immigrant benefits. Attorney Michael R. Jarecki practices U.S. Immigration and Nationality Law throughout the United States and with U.S. consular posts worldwide. Michael has been selected as an Illinois Super Lawyer® “Rising Star” for immigration from 2012 – 2019, placing Michael among the top 2 ½ percent of up-and-coming attorneys selected. 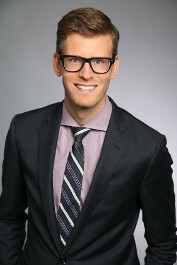 Michael was named one of the Best LGBT Lawyers Under 40, Class of 2012, by the National LGBT Bar Association, an affiliate of the American Bar Association. Michael is an active member of the American Immigration Lawyers Association (AILA), a professional immigration bar of more than 15,000 attorneys and law professors. He currently serves as Chapter Chair of AILA Chicago.